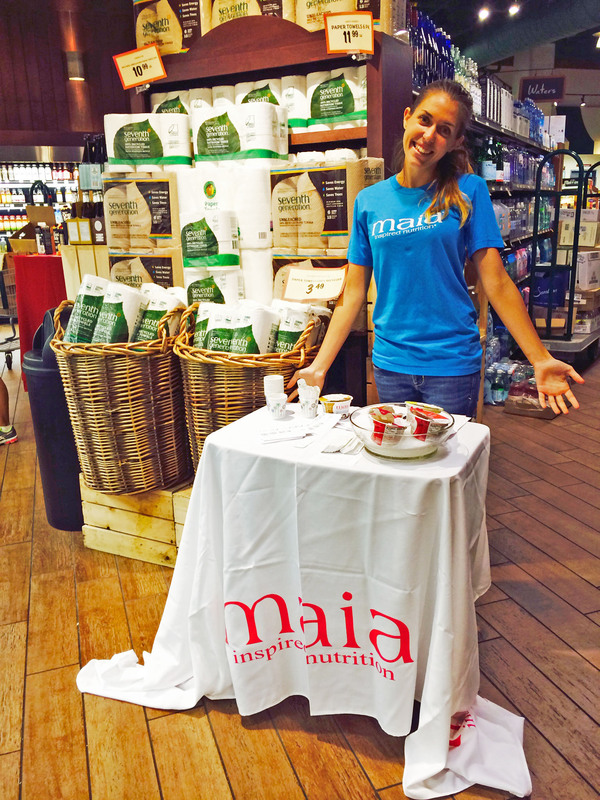 #teammaia Brand Ambassadors work hard to get the word out about Maia, so we wanted to get the word out about them, too! We’re highlighting some of our best Ambassadors as a small token of our appreciation for their hard work spreading the Maia love. Kaile Stewart has been part of #teammaia since October and has the good fortunate of being one of our brand ambassadors in sunny south Florida! Kaile has lived everywhere; she’s originally from Canada, but grew up on a small island in the Caribbean, St. Kitts, where her family moved when she was five years old to be closer to her grandparents. She lived in New Zealand for a few years, and now resides in Miami, Fla. where she goes Miami Dade College and is studying to be an elementary school teacher. Maia’s mix of carbs and protein makes it the ideal snack for runners. Before a run, it helps keep endurance up, making sure runners like Kaile don’t crash mid-workout. Post-workout, the carbs and protein aid muscle recovery and the potassium in yogurt helps replace electrolytes that were lost during the run. You can follow Kaile on her marathon journey on Instagram at @kaile_runs. We’ll be cheering her on as she crosses the finish line, and you should too!